See past coverage of Gilbert Frew’s case at LimaOhio.com/tag/frew. 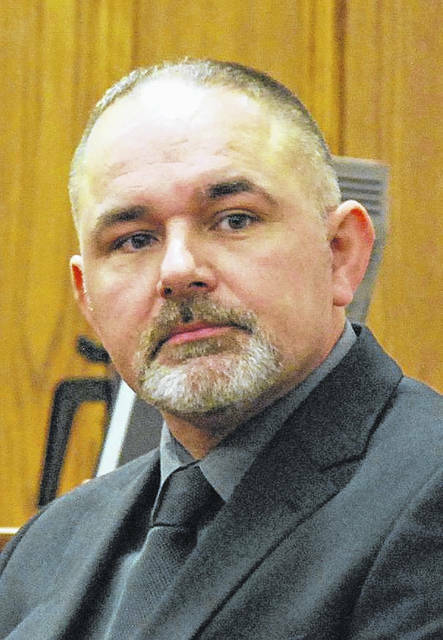 LIMA — A Lima firefighter who was acquitted by an Allen County jury in late March of one count of gross sexual imposition will stand trial later this year on a similar count on which jurors could not reach a verdict. A new jury trial for Gilbert Frew has been scheduled for Aug. 13. Jurors deliberated for more than eight hours March 27 before returning the lone not guilty verdict against Frew, a fireman employed by the City of Lima who prosecutors claimed had inappropriately fondled two young girls. Following the verdicts, Assistant Prosecuting Attorney Tony Miller said his office would consider all options on how to proceed with the one count on which jurors were hung. The two alleged victims in the case, now ages 15 and 11, took the witness stand and told jurors of frequent instances of unwanted touches to their breasts, buttocks and vaginal areas during “massages” or “back rubs” administered by Frew, at their request. The two counts of gross sexual imposition against Frew differed only in reference to the age of the alleged victims. Frew, 42, resided in Spencerville when the alleged acts took place. He denied intentionally touching either of the two girls inappropriately. He told jurors his hands may have touched some private areas on the girls’ bodies “accidentally” but never for the purpose of sexual gratification.